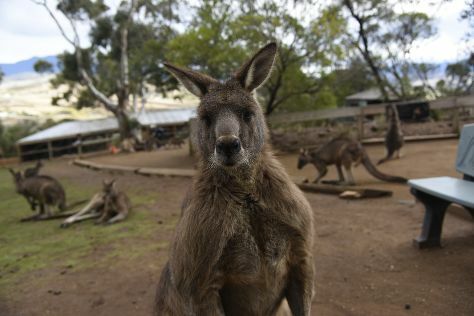 Get out of town with these interesting Hobart side-trips: Bonorong Wildlife Sanctuary (in Brighton) and Port Arthur (Port Arthur Historic Site & Three Capes Track). On the 16th (Wed), give your taste buds a day to remember with a local gastronomic tour. And it doesn't end there: take in nature's colorful creations at Royal Tasmanian Botanical Gardens, take in the views from Richmond Bridge, take your sightseeing to a higher altitude at Mount Wellington, and engage your brain at Tasmanian Museum and Art Gallery. To find reviews, other places to visit, traveler tips, and more tourist information, read our Hobart itinerary builder app . In January in Hobart, expect temperatures between 26°C during the day and 14°C at night. Cap off your sightseeing on the 22nd (Tue) early enough to travel back home. Kick off your visit on the 23rd (Wed): take in the dramatic scenery at Lilydale Falls, indulge your taste buds at Food & Drink, and then identify plant and animal life at Cataract Gorge Reserve. Keep things going the next day: meet the residents at Seahorse World, get engrossed in the history at Beaconsfield Mine & Heritage Centre, then explore the world behind art at Queen Victoria Museum & Art Gallery, and finally stroll through City Park. 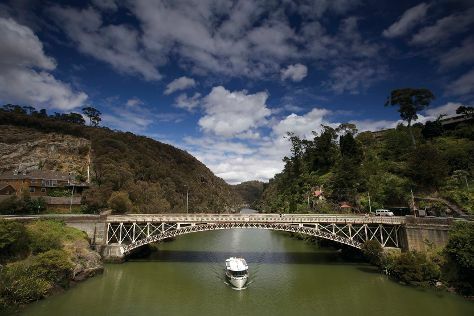 To find where to stay, photos, reviews, and more tourist information, read our Launceston trip itinerary planner. Traveling by car from Hobart to Launceston takes 2.5 hours. Alternatively, you can take a bus. Expect a daytime high around 28°C in January, and nighttime lows around 12°C. Wrap up your sightseeing by early afternoon on the 25th (Fri) to allow enough time to drive back home.